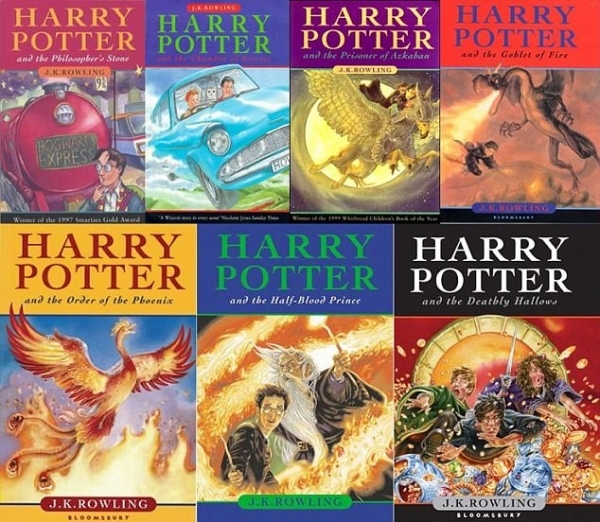 I actually started reading Harry Potter because the person I look up to the most is a huge fan. He was the one who gave me the first book because I suppose he wanted to share his joy of reading Harry Potter. But it was only when I was in 11 standard, in the year 2010, that I really got involved. And boy oh boy, there was no turning back then. I had already read the first book a year back, and now in the span of a month, I read all the remaining ones. Gosh! It was such a surreal experience. I was so engaged and enraptured that I hardly though about anything else. The emotion I felt when I finished the whole book was as if someone has died. I was lucky that I read the whole series at one go. I cannot imagine what all the potter heads had felt waiting for each and every book. You have to understand that I had a lonely childhood. Nothing tragic, yet lonely. My parents were working, I had no friends, I was bullied at school, so the only things that gave me pleasure was dance and reading. I was a movie fan since the beginning, and my cousins and us used to get together every summer and enact short harry potter scenes and shoot them. My cousin used to tell us the story of Harry Potter when we were little. The last two years of school was not good for me. I was directionless and depressed. And also obsessed with Harry Potter. But Harry Potter was not just a comfort for me. It build up good part of the foundation based on which I think today. On practical grounds, it improved my English drastically as well as fueled my imagination. On a deeper level though, it taught me how a true friendship should look like, it taught me that love can take so many forms. Harry taught me to be fearless, Hermione taught me to be curious, Ron taught me to be loyal, Tonks taught me to be myself, Dumbledore and Snape taught me that everybody has good and bad in them, and I could go on and on about all these things. To this date, in any kind of despair I turn to the wisdom departed by JK Rowling through Harry Potter, my phone is filled with quotes from harry potter to inspire me through the day. I love Harry Potter so much that I even published a research paper in French about Harry Potter. I was too young to realize it but, today when I think about it, my understanding of feminism also stems from harry Potter. I have never seen any form of discrimination based on gender in my family, and that idea was re-enforced through Harry Potter. I didn’t look at it as women empowerment tool. No. The fact that Rowling didn’t discriminate, or to say it better, the fact that she never emphasized on anyone’s gender really, she never made me feel as a reader that women could do what men can do. No. Everyone had their roles to play, which was not defined by their genders. It felt so natural and what our society should actually be like. I have written a 60 page research paper on Harry Potter, countless blogs, and fanfictions, and now this, yet I am never short of words when I comes to Harry Potter. Words are never going to be enough. I truly cannot imagine my life without Harry Potter and hence I wrote this very small tribute to the-boy-who-lived.